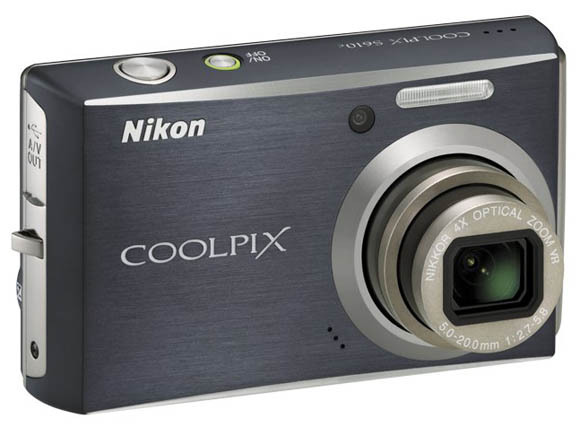 The Nikon Coolpix P80 is a compact digital camera featuring a massive 18x optical zoom nikkor lens (27 – 486mm equivalent), a 2.7 inch LCD monitor with 230,000 pixel resolution, and a 10.1 megapixel CCD image sensor with Nikon’s EXPEED digital image processing technology. 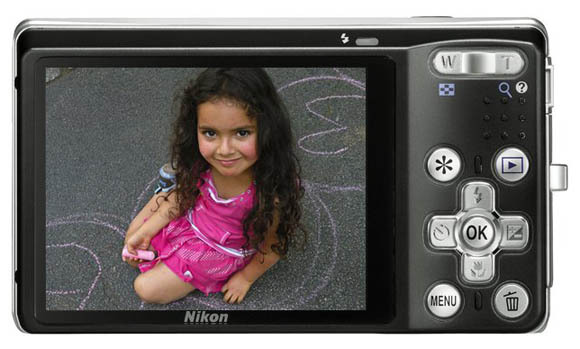 The Nikon P80 also features VR optical image stabilization, ISO sensitivity up to ISO 6400, face priority auto focus, in camera red eye fix, and sports continuous shooting mode allowing as many as 30 consecutive pictures at 13 fps. This entry was posted in Digital Cameras, Nikon and tagged Nikon, Nikon Coolpix, Nikon P Series on April 11, 2008 by jonathanb. 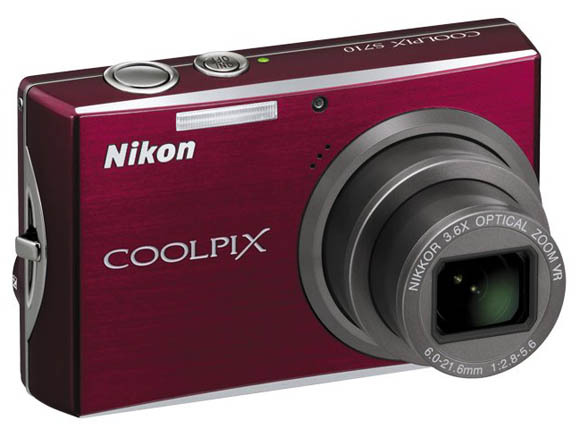 The Nikon Coolpix S52c is a 9.0 megapixel slim and compact point and shoot digital camera with 3x optical zoom lens (38 – 114 mm equivalent) and 3.0 inch LCD monitor. 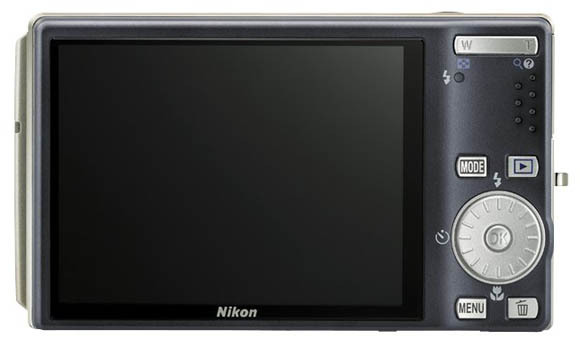 The Nikon S52c has the same features as the S52 but includes the addition of Wi-Fi allowing images to be sent directly to the computer or email via its Wi-Fi connection, as well supporting my Picturetown, Nikon’s photo sharing and storage service. Like the S52 the S52c also features optical lens shift image stabilization, ISO sensitivity from 100-3200, Face-priority AF, In-Camera Red-Eye Fix, and is available a range of colours including Silver and Purplish Black. This entry was posted in Digital Cameras, Nikon and tagged Nikon, Nikon Coolpix on April 11, 2008 by jonathanb. 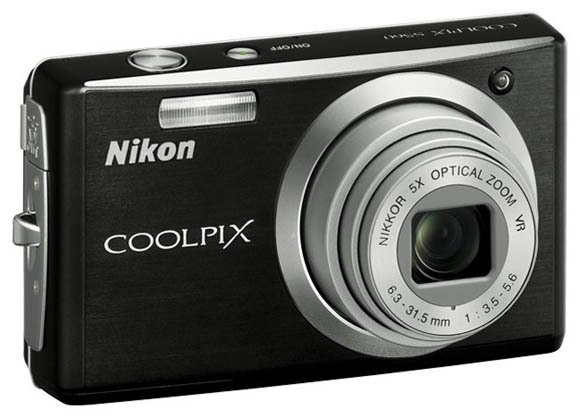 The Nikon Coolpix S52 is a 9.0 megapixel slim and compact point and shoot digital camera with 3x optical zoom lens (38 – 114 mm equivalent) and 3.0 inch LCD monitor. 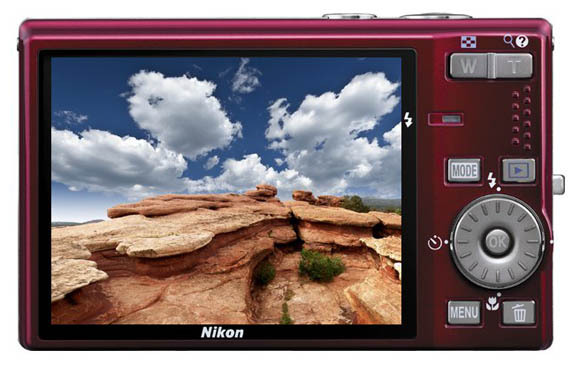 The Nikon S52 also features optical lens shift image stabilization, ISO sensitivity from 100-3200, Face-priority AF, In-Camera Red-Eye Fix, and is available a range of colours including Gloss Silver and Purplish Black, Coral Pink, Beige Gold.